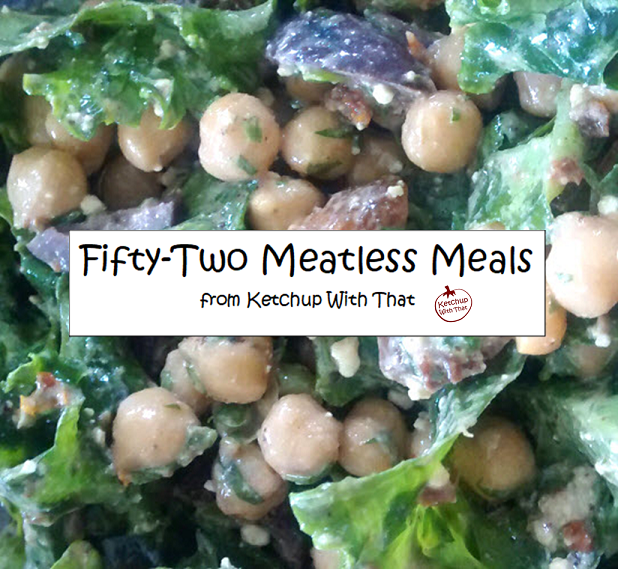 Do you want to incorporate more meatless meals into your menu, but aren’t sure how to start? These five tips will help. Think of adding not subtracting. Sometimes meat plays such a star role in our meals that removing it feels like we will have a huge gap to fill on our plates. But instead of thinking about taking away meat, try looking at it as an opportunity to add new foods and flavors. There is a whole world of interesting beans, grains and vegetables to explore. They can easily and beautifully fill the gap on any plate. Don’t start with meat-like substitutes. It might seem that going with some of many meat-like substitutes available in most grocery stores would be any easy way to go meatless. If you are new to meatless meals, though, you will likely find their taste and texture disappointing. In addition, these substitutes are usually highly processed and expensive. They will not be the best bang for your meatless buck in terms of taste, nutritional value or cost. Get the people you cook for on board. If you are cooking for other people, you may be worried about resistance to meatless meals. The good news is that there are so many reasons to go meatless that you will probably be able to find a reason to match any argument. Going meatless can help the environment, our health and our budgets. Identify where the resistance lies, and find the best counter-argument. If the food is tasty and filling, most people won’t notice or care that it’s meatless! Do an inventory of what you already eat. Chances are, you already prepare a number of meals that are meatless, or which could easily become so. Do you like pizza? It’s easy to forgo the meat and try some new toppings. A fan of chili? Sub out the meat for some beans and try one of the countless recipes available for meatless versions. Look at your breakfast, lunch and dinner favorites, and you may be surprised to find that you are already eating some meatless or ‘easy to convert’ meals. Get to know beans and lentils. Beans and lentils are some of the most affordable and nutritious meat alternatives out there. There is a wide variety of these legumes, and they are readily available in most supermarkets. You can purchase them canned, or buy them dried for even more cost savings. This printable guide from the University of Alaska provides a thorough explanation of how to cook beans (and includes some easy recipes, too). The good news is that you don’t have to make a major lifestyle change to enjoy the benefits of going meatless. Even eating one meatless meal a week can help contribute to a healthier planet and you. Take the Meatless Monday pledge, and join a growing number of people around the world who are making the transition.